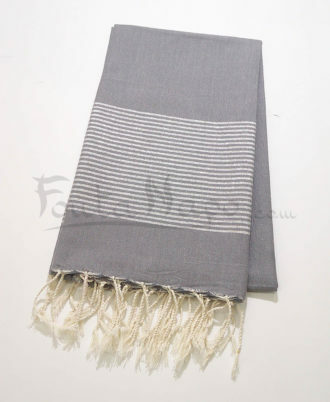 The fouta towel lurex Charcoal & Silver is a beautiful towel with different uses. The weavers are men and the finishes of the fringes are handmade by their wives. 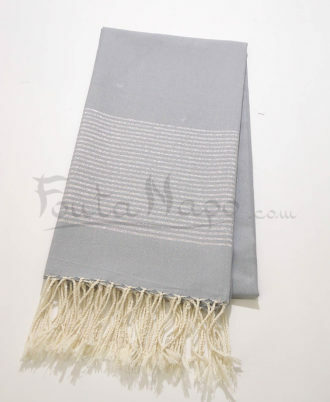 It is embellished with just a few wire of lurex . 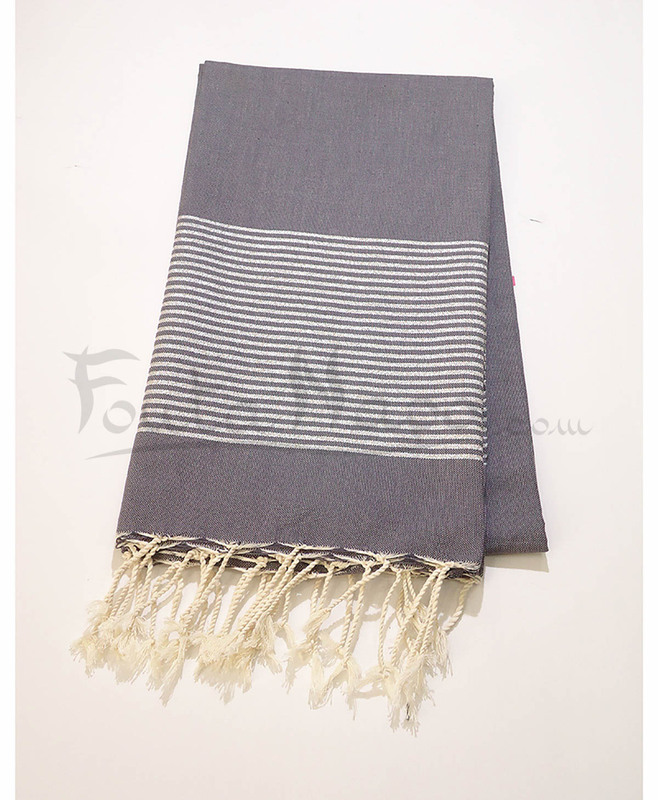 This amazing fouta has become an indispensable accessory , it’s very soft, chic and elegant.